WorldMovieStore - Ghost Rider Spirit of Vengeance Sinopsis. Ghost Rider Spirit of Vengeance - Nicolas Cage returns as Johnny Blaze - still struggling with his curse as the devil's bounty hunter - is hiding out in a remote part of Eastern Europe when he is recruited by a secret sect of the church to save a young boy (Fergus Riordan) from the devil (Ciaran Hinds). At first, Johnny is reluctant to embrace the power of the Ghost Rider, but it is the only way to protect the boy - and possibly rid himself of his curse forever. Read More Sinopsis. 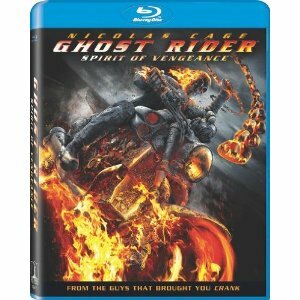 0 Response to "New Release Ghost Rider Spirit of Vengeance Blu-ray"